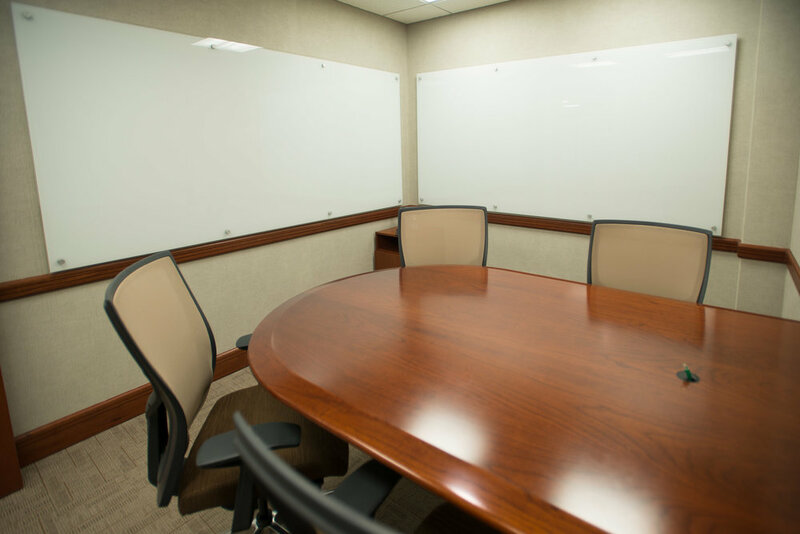 Our Focus Meeting Rooms rooms are optimal for small group presentations and professional consultations. 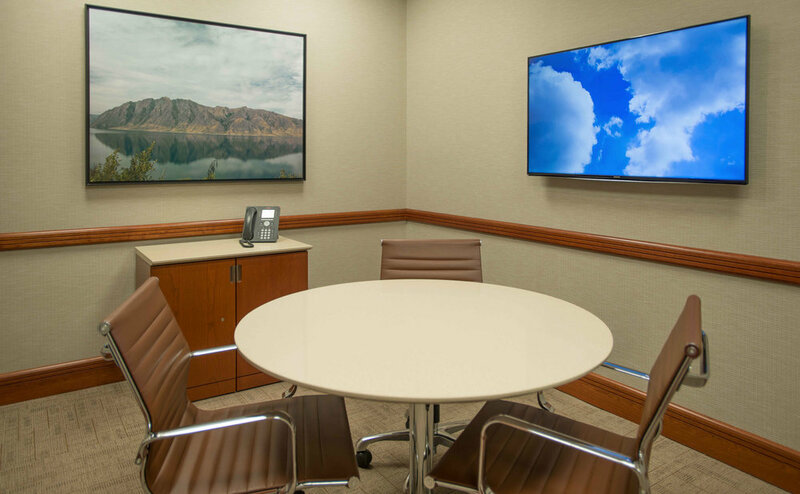 The pricing includes our helpful Meeting Concierge services, plentiful free parking, lobby welcome sign, WiFi, speakerphone, LED Monitors with HDMI connections, and use of our spacious Hub with premium Starbucks coffee and teas for all participants. Like all Symphony Meeting Rooms, they are unbranded for the best image for your business and offer you and your participants a complete, first class experience at a value price. This is a unique purpose built meeting room specifically for brainstorming ideas. The walls have full height glass whiteboards with enough circulation space for a few people. The table is shaped to allow a quick view over local laptops screens. Its secluded and secure to hide your written ingenious ideas from prying eyes. The Studio Meeting Room is built with all of the standard features of the Focus Rooms with a few differences. First, it is located outside of the main suite with a separate entrance. For a limited number of qualified Clients, this makes it accessible after hours. It can also be used as a breakout or prep room for the Training/Presentation Center.